Tibet is such a wonderland for its fabulous natural views, rich cultural backgrounds and holy religious monasteries. 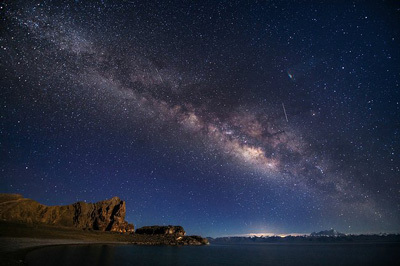 Therefore, it has attracted countless global trekkers. Trekking in Tibet is absolutely an unforgettable and amazing experience in one’s life. So, here below are top 9 popular Tibet trekking trails. Ready to begin a Tibet hiking tour? Mt. Kailash is considered as a sacred place in four regions: Bon Religion, Buddhism, Hinduism and Jainism. Besides, they believe that Mt. Kailash is the ‘center of the world’. Every year, thousands make a pilgrimage to Kailash for the faith they believed that circumambulating Kailash by foot will bring good luck and clear the sins. The total miles of the Mount Kailash Pilgrimage Kora is 53km which usually takes 3 days for normal people or fewer days for local people. 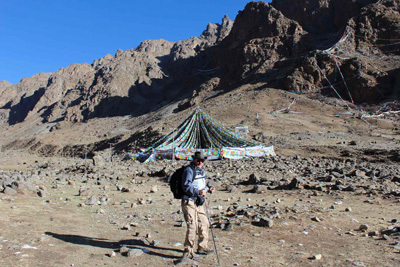 The trek begins and ends at Darchen which is at 4,575m elevation. During the trekking, trekkers and travelers can enjoy the breathtaking views of Mt. Kailash and Manasarovar Lake. What’s more, the best seasons for Mt. Kailash Kora are late May to early September. 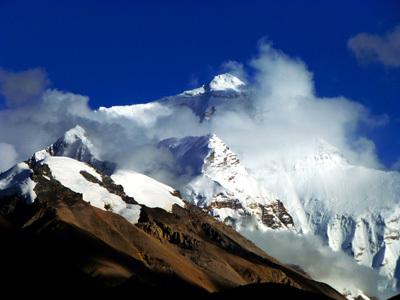 Tsurphu-Yampachen trekking is one of the most highlight trekking routes in Tibet. 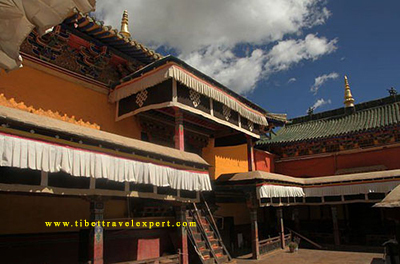 It starts from the Tsurphu Monastery where travelers begin their trekking trip. The whole trekking takes about normally 4 days covering about 55 km. This Tibet trekking completely combines wild activities and cultural tours. Worth to mention, Tsurphu Monastery – Yampachen trekking is available in middle April to middle October. Meanwhile, the late June is the best season to do the trekking, due to its flourishing grassland and wildflowers along the way. Ganden-Samye Trekking in one of the most popular trek routes in Tibet. 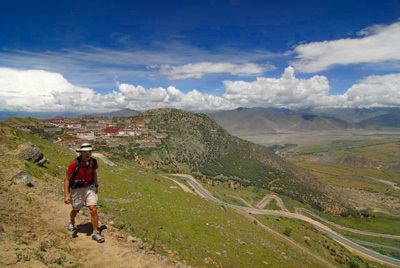 Trekkers can see typical Tibetan plateau views and two famous Tibetan monasteries, Ganden Monastery and Samye Monastery. The total distance of this trekking is 80km. And it usually takes four to five days to finish the trek. Seriously speaking, it is not an easy trek. So you must get fully acclimatized in advance and make full preparation. Since the altitude is high, please bring some AMS medicine and protect your skin from strong sunlight. The best seasons for the trek is from May to October because the weather is fine. But in summer, it will be rainy. So you should watch out for your steps. Also, you can come in colder months with much trekking experience. The Yamdrok Lake trekking is very suitable for trekking beginners because it is a relatively easy trekking tour for 2-3 days trekking and great opportunities to view the holy turquoise Yamdrok Lake. During the trek towards Yamdrok Lake, the primitive natural sceneries along with old monasteries, animals, villages will give trekkers an unprecedented impression on Tibet. The whole trekking tour combines natural sceneries, monastery views and cultural tour together. Therefore, it is very worth taking. Tingri-Everest Base Camp trekking provides a heady mix of solitude, wildlife sighting and physical challenge. 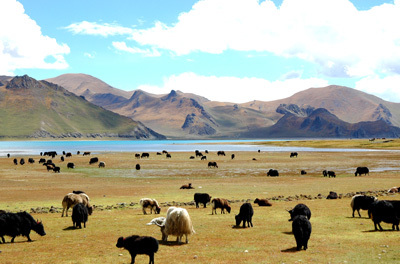 Moreover, trekkers might even get lucky and see a Tibetan brown bear rambling in the pastures. The total distance of this trek covers 70km and takes about 4 days to finish the trek. Meanwhile, it is a tough trek for the route is in a high-elevation region with altitudes ranging between 4400 m and 5300m. However, the sceneries won’t let you down. On the way to Everest Base Camp, trekkers will have enough time to explore the valleys and glaciers below the massive north-face of Mt. Everest. And enjoy the most magnificent world’s highest mountain scenery. Trekking to Everest Advance Base Camp is absolutely an unforgettable challenging Tibet trip. 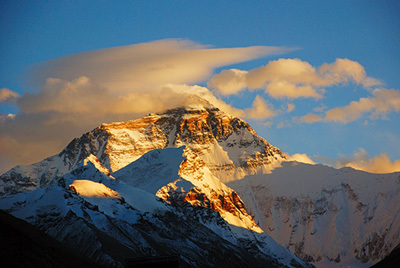 Trekkers will encounter the amazing, mountainous landscape of Tibet, known as the ‘the roof of the world’. The long trip begins at Lungchang and ends at Everest Advanced Base Camp. 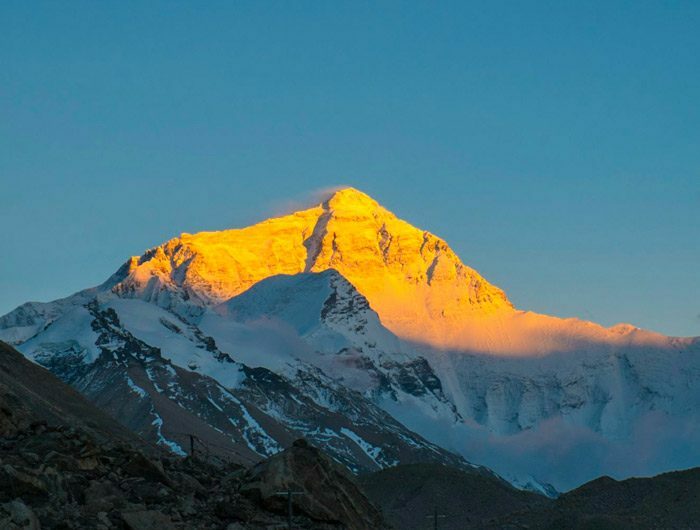 This trekking Route is the toughest one among these top 9 popular Tibet trekking trails. Because trekkers will reach 6400 meters above sea level and trek in the highland. In other words, it is the most challenging trekking routes in Tibet. So, the trekkers should be experienced and have a good body-shape However, reaching the Advanced Base Camp of Mt. Everest, the highest mountain on Earth, is definitely a superb experience beyond any adventures. Khata Valley-East Everest Base Camp Trekking route is one of the most scared trekking routes in many trekkers’ hearts. 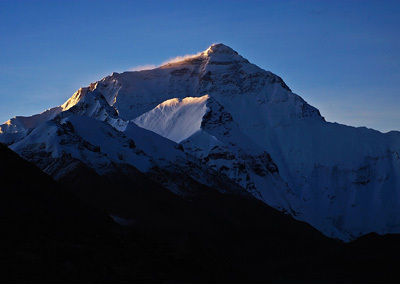 Trekkers can see three high mountains with altitudes above 8,000 meters, which are Mt. Everest (the highest mountain in the world), Lhotse (the 4th high mountain in the world), and Makalu (the 5th high mountain in the world). Also, there are numerous snow mountains along the way from 6,000 meters to 7,000 meters. Chomo Lonzo one of them which is totally locate in Tibet. Besides snow mountains, the natural view in Kaamo Tsangpo Valley is beyond your imagination. As “the most beautiful valley in the world” named by the Britain explorer Mr. Barley in this book Mt. Everest Investigation, Kaamo Tsangpo Valley is the only valley near Mt. Everest which does not have a road inside. Only the yaks can enter. 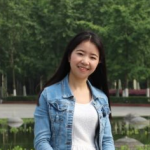 Therefore, the valley is isolated from the world and maintain the primitive natural views including vast lands of forests, rare animals, plateau lakes, wetlands, waterfalls and etc. During the trekking, not only can trekkers view the marvelous natural beauties but also can the adventurers challenge themselves and enjoy the happiness of conquest. For trekkers and photographers, this trekking route is absolutely their dreaming route! Shalu – Nartang trekking is an ancient trail following the old trade route between the Shalu Monastery and Nartang Monastery. The total distance of the trek is 45 km passing through several villages. On the way, trekkers can enjoy the typical Tibetan-style villages and feel the old trade trail route. Moreover, the best season for this trek is early April to late October. But, in summer, the roads can be hot and in other seasons become cold and windy. So, trekkers should be prepare of the weather and road condition. Namtso Lake trekking kora also called Nyenchen Tanglha Traverse, is also a pilgrimage trekking route in Tibet. Circling around the lake is considered as a sacred way to worship this holy lake in Tibet. What’s more, Every Sheep Year in Tibetan calendar, pilgrims from far away come to worship by circling around the lake clockwise. This holy lake attracts both pilgrims and visitors to seek transcendence of their souls. 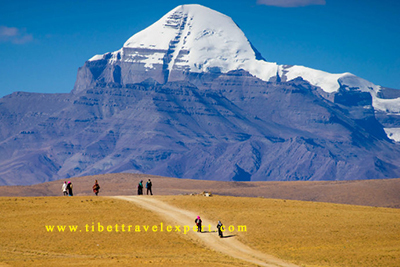 For further information about Tibet trekking tips please follow Tibet Travel blog.